Digital Logic Design, Second Edition provides a basic understanding of digital logic design with emphasis on the two alternative methods of design available to the digital engineer. 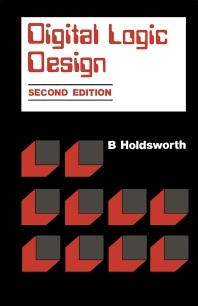 This book describes the digital design techniques, which have become increasingly important. Organized into 14 chapters, this edition begins with an overview of the essential laws of Boolean algebra, K-map plotting techniques, as well as the simplification of Boolean functions. This text then presents the properties and develops the characteristic equations of a number of various types of flip-flop. Other chapters consider the design of synchronous and asynchronous counters using either discrete flip-flops or shift registers. This book discusses as well the design and implementation of event driven logic circuits using the NAND sequential equation. The final chapter deals with simple coding techniques and the principles of error detection and correction. This book is a valuable resource for undergraduate students, digital engineers, and scientists.